HUNGRY GHOST H.I.V.I.P. - mudd up! the only bad thing about receiving good music late at night is forgetfulness. i shoulda posted this before everybody else, but the internet isn’t (always) a race. brand new mix from Spoek Mathambo of Sweat X and Playdoe (i first wrote about Sweat X for this Fader piece, they’re back on tour in ye olde Europe right now). I’ve spent far too long trying to figure out what is going on in the cover of this mix. 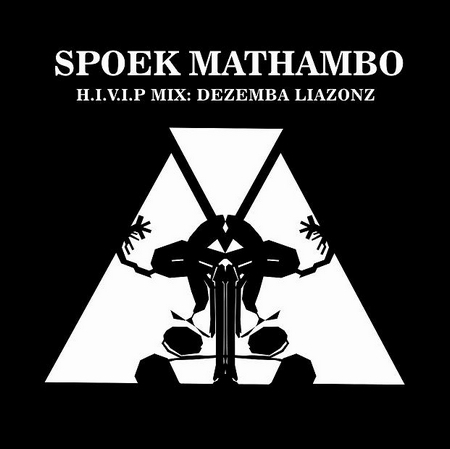 Spoek continues to be ill. Crazy mix. i see fallopian tubes surrounding meat and two veg on the cover.